01. All Blues - 03:27 (Davis); 02. Tantricity - 03:08 (Sauer / Kühn); 03. Sophisticated Lady - 03:55 (Ellington); 04. Actors - 03:01 (Sauer / Wollny); 05. Lost Shilouettes - 03:51 (Sauer / Kühn); 06. Blue in Green - 02:40 (Miles); 07. Tutatis - 02:51 (Sauer / Wollny); 08. La belle rancune - 02:11 (Sauer / Kühn); 09. 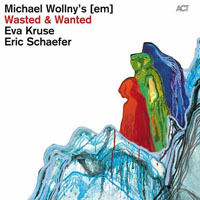 Blue and Other Notes - 03:25 (Sauer / Wollny); 10. Flamenco Sketches - 03:32 (Davis); 11. Egodeology - 03:02 (Sauer / Wollny); 12. Lover Man - 03:10 (Davis / Ramirez / Sherman); 13. There Again - 03:27 (Wollny); 14. In a Sentimental Mood - 04:37 (Ellington / Kurtz / Millsing); 15. Go From Here - 03:00 (Kühn); 16. Still Around Redford - 03:09 (Sauer / Wollny). 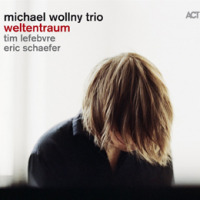 Henz Suer (sax tenore); Michael Wollny, Joackim Kühn (pianoforte).